These incidents leave people with concerns that range from how they will return to work to who will pay the medical bills. That is where the team at our law offices steps in. We dissect every claim, sorting through the details to illustrate every loss our client has suffered. Our attorneys work with medical experts, law enforcement and other professionals to demonstrate how the defendant caused our clients harm. Taking a comprehensive approach is the reason we have obtained millions of dollars on behalf of our clients. Often, these issues are resolved outside of the courtroom through effective negotiation techniques. However, the team at our law offices is composed of highly skilled litigators who have taken a number of cases to trial. We never back down from a fight when our clients' rights are on the line. 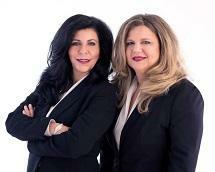 Zervos & Calta Injury Law offers free initial consultations.